The excursion up Titlis is a real treat. The new gondola TITLIS Xpress leads up to the intermediate station. 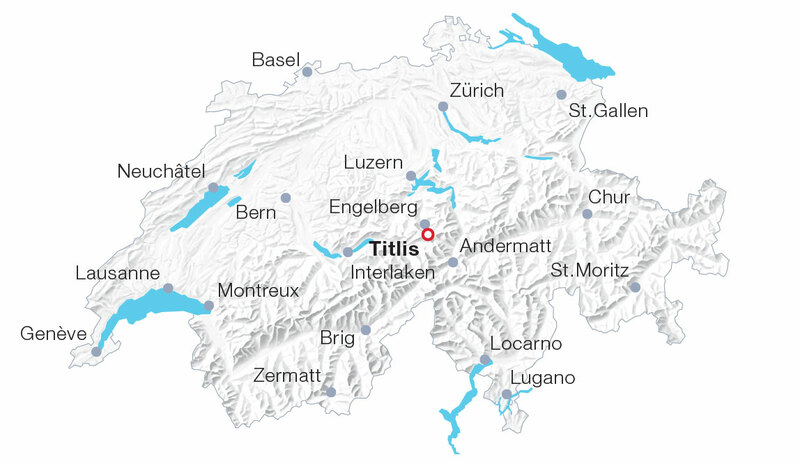 Then TITLIS Rotair, the World’s first revolving aerial cableway, continues all the way to the top. At the summit of the 3,000-metre mountain, a breathtaking panorama as well as other highlights await: various restaurants with sun terraces, the Glacier Cave (free admission), the “Titlis Cliff Walk” – Europe’s highest suspension footbridge – and of course eternal snow and ice. On the glacier chairlift “Ice Flyer” visitors literally fly over the Titlis glacier to the Glacier Park, a free attraction.